During his nearly 30-year career in education, both as a teacher and an administrator, Bisgard has built a strong resume. 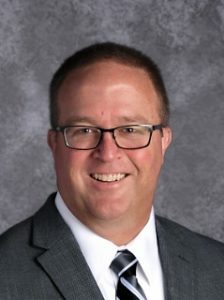 With 13 of those years spent here in the Linn-Mar district, he has developed valuable relationships that will enable a smooth transition and continued success for our school community. Bisgard has served as building principal at both Bowman Woods and Linn Grove elementary schools, helping to design, build, and open the latter. After leaving Linn Grove in 2013 to accept a role as Regional Administrator at Grant Wood Area Education Agency, he returned to Linn-Mar in 2015 to become Associate Superintendent. In this latest position, Bisgard has proven himself to be a capable leader, well-poised to take the helm here at Linn-Mar.